Andrey Kolmogorov was born in Russia in 1903 and raised by his aunts as his mother died during his birth. Kolmogorov graduated from high school in 1920 and then commenced his studies at the Moscow State University. During his undergraduate studies he gained a reputation for his knowledge, where he proved several results in set theory and Fourier series. Kolmogorov graduated in 1925 and in the same year published his work in intuitionistic logic. In 1929, he earned his PhD degree from Moscow State University and in 1931 was appointed professor at the same university. In 1933, Kolmogorov published his Foundations of the Theory of Probability, which laid the axiomatic foundation of probability theory. In the 30s, Kolmogorov established the basic theorems for smoothing and predicting stationary stochastic processes and independently developed the Chapman-Kolmogorov equations. In the 40s, Kolmogorov focused his research on turbulence and classical mechanics, where he is best known for the Kolmogorov-Arnold-Moser theorem. In the 50s, he solved a particular interpretation of Hilbert’s 13th problem and in the same period developed the Kolmogorov complexity theory. In his later years, he devoted much of his efforts to the mathematical and philosophical relationship between probability theory and applied areas. 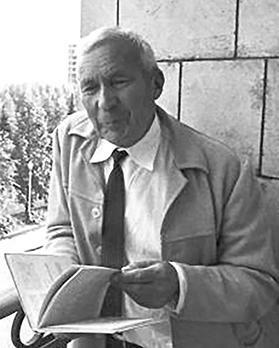 Kolmogorov died in Moscow in 1987.